Daniel Sturridge will play the rest of the season at West Brom. The Liverpool striker has hardly featured this season and is known to be keen to gain regular first team football in a bid to strengthen his claim to a place in Gareth Southgate's England side for this summer's World Cup. He is (of course) not the most high-profile departure from Anfield during this particular transfer window, with Philippe Coutinho sealing a £145m switch to Barcelona earlier in the month. 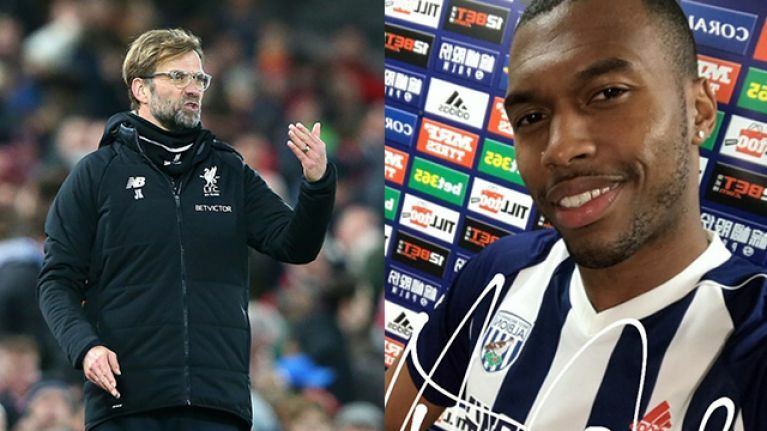 However, as Sturridge's loan move to The Hawthorns was confirmed many Liverpool supporters bemoaned the club's decision to let both players leave the club without bringing in any attacking reinforcements to replace them. It wasn't that long ago that Coutinho and Sturridge were regarded as our two best players. Offloading both without replacements is completely stupid. We're so confident in Solanke and Ings as backups we've let Sturridge walk out on loan for the season. Sturridge had appeared to be in line to seal a similar loan switch to Newcastle United earlier on Monday. The Times reported that a move to St James' Park had appeared close, only for the player not to travel to Tyneside as was expected. Earlier in the month, he had also attracted interest from overseas, with Internazionale and Sevilla both said to have looked at signing him. Sturridge will wear the number 15 shirt at West Brom. It looks increasingly unlikely that there will be any more arrivals at Anfield before the close of the window.